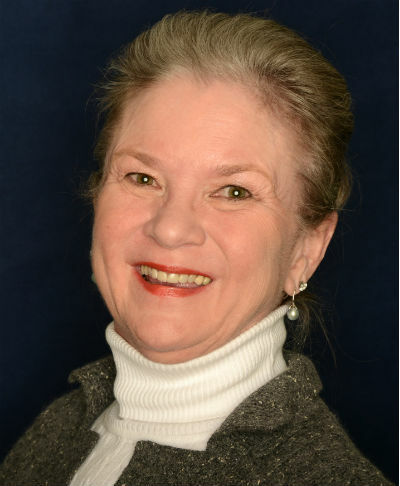 Christie – learn how we transformed her smile! Welcome to our Smile Gallery! We take great pride in our work and how we’ve been able to change the lives of our patients. Please note that these are our own cases. Note that there are no stock photos nor paid tooth models! These are real patients who had dental treatment completed here in our office by either Dr. Nicholas or Carla Calcaterra. Here is a summarized list. 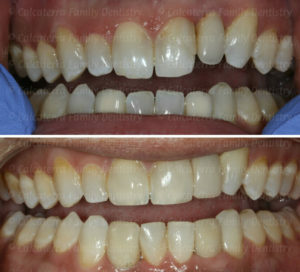 A Smile Transformation with Veneers. From a Face Plant to a New Smile. From a Bad Bridge to a New Smile. He Never Smiled Because of His Implant. 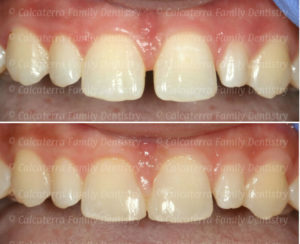 A Failing Bridge to Fixed Implant Retained Dentures. Below you will see summaries and links to each Gallery Page. We hope you enjoy them. And remember, you could be featured here too! 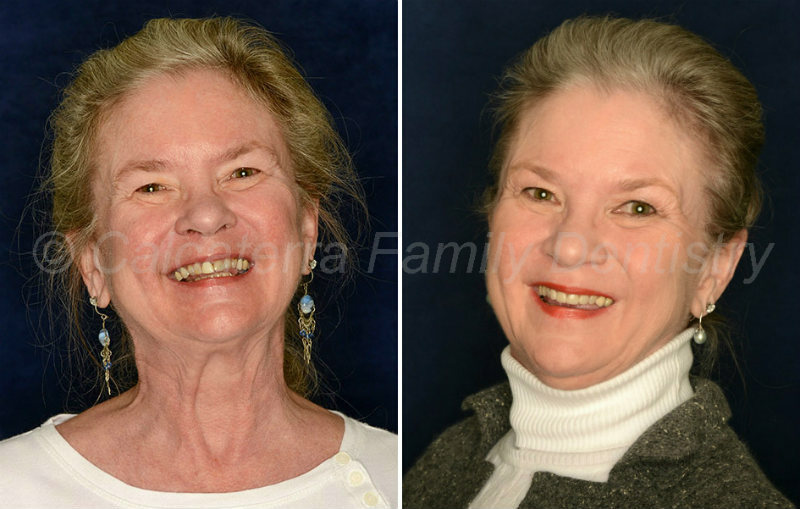 Our patient Christie waited 30 years to fix her smile. We’re glad she did! To see how we did this with Christie, you can visit this page. Our patient Ewa suffered trauma and broke three front teeth. We stepped in, saved here teeth, and gave her an even nicer smile. Want to see and learn about the entire story? Go here to see the entire history and see how we basically saved her smile! Our patient from Hamden suffered with a horrible bridge for years. 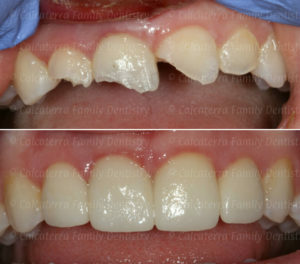 Using Invisalign, dental implants, and cosmetic crowns, we were able to transform him. Want to read about the entire story? Go here to see his history and see many more photos! Mark literally never smiled because of a poorly done implant crown and an uneven smile. We were able to turn his smile around. Want to see the entire history? Go here to see all the photos and details. Nataliya had a failing bridge and a poorly shaped denture. We solved her problem with dentures fixed in with implants. Nataliya’s denture screwed in with dental implants. Dentistry Dr. Nicholas Calcaterra. See the entire history of our patient along with photos here. A diastema is midline gap between the two front teeth. See how we fixed Leslie’s small using bonding. Closing a front tooth gap with bonding. 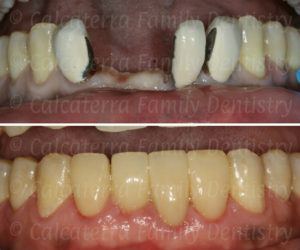 Photos and dentistry by Dr. Nicholas Calcaterra. See the entire history with photos here.